Why should a Phase I Environmental Site Assessment (ESA) be conducted? Completing a Phase I ESA is for protection. It is one of the environmental due diligence requirements to establish protection from potential liability under the Comprehensive Environmental Response, Compensation and Liability Act (CERCLA) passed by Congress in 1980. CERCLA liability defenses are very valuable, especially since a purchaser or lessee of contaminated property can be liable for environmental cleanup costs even if the leak, spill or release happened decades earlier, without regard to fault or negligence. In order to be used for CERCLA protection, a Phase I ESA must meet the requirements of the federal rule entitled “Standards and Practices for All Appropriate Inquiries” (40 CFR Part 312) or ASTM’s Phase I environmental site assessment standard (ASTM E 1527-13). A completed Phase I ESA can also be a useful tool for evaluating the potential for legal claims and/or contamination clean-up costs. What is a Phase I Environmental Site Assessment (ESA) and how is it conducted? ESA’s do not typically include sampling, nor do they address asbestos-containing building materials, mold, radon, lead-based paint, lead in drinking water, wetlands, compliance issues, and/or high voltage power lines. If requested, however, a Phase I ESA can be modified to address such issues. When should I have a Phase I ESA conducted? 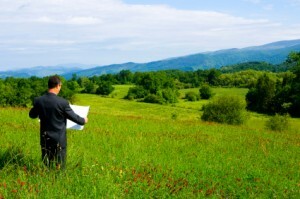 Environmental Site Assessments are important. They protect a purchaser of a property from environmental liability. If you are a purchaser of commercial property the ESA is your safeguard.